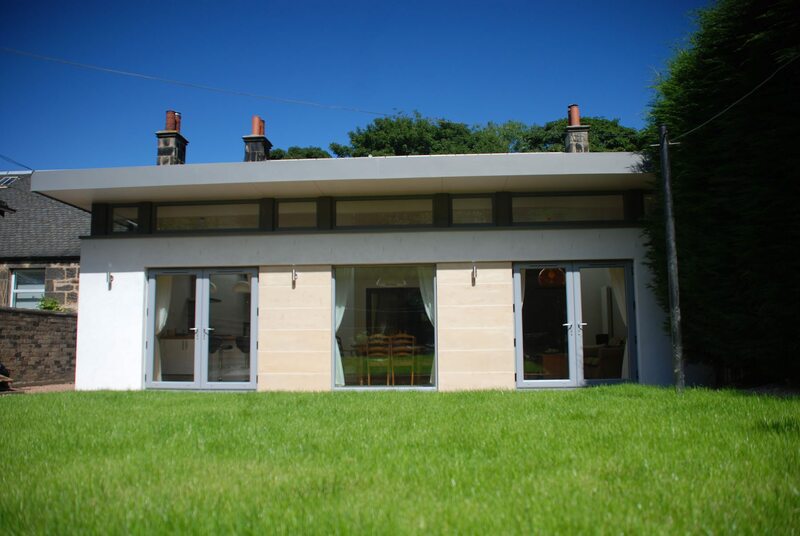 This extension and full refurbishment of an old hunting lodge is a favourite of ours. 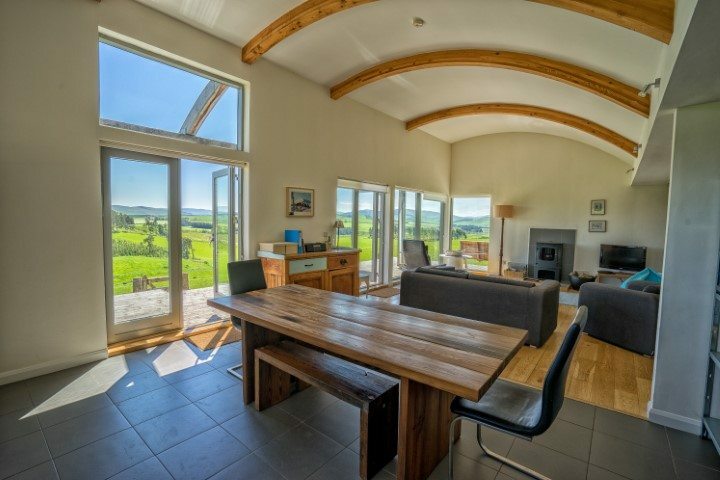 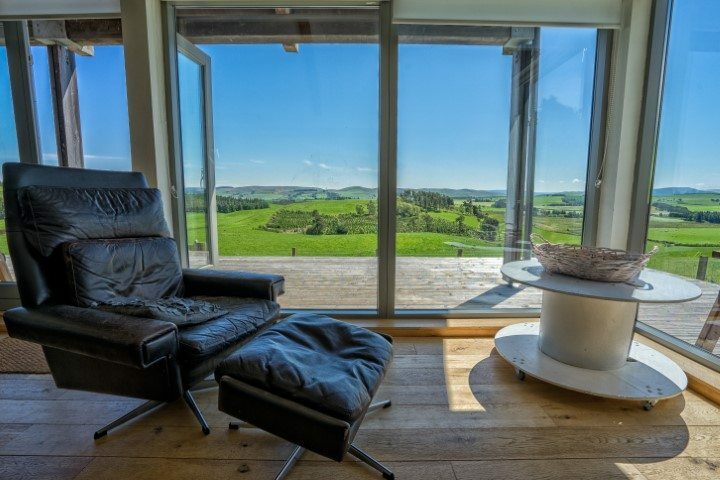 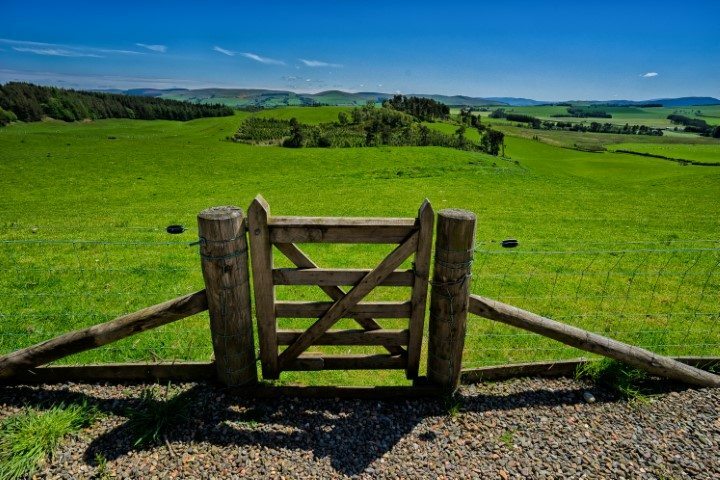 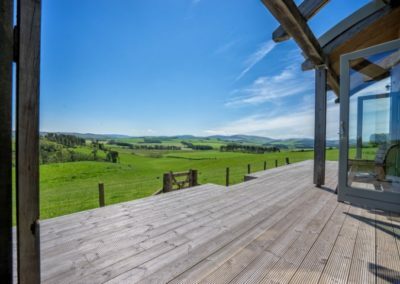 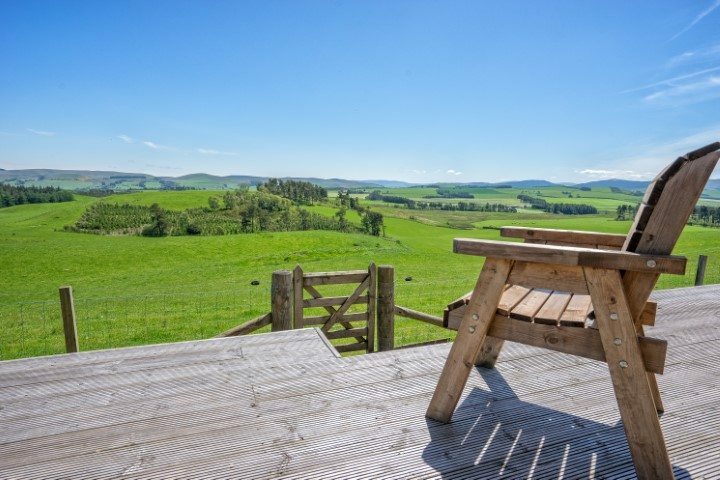 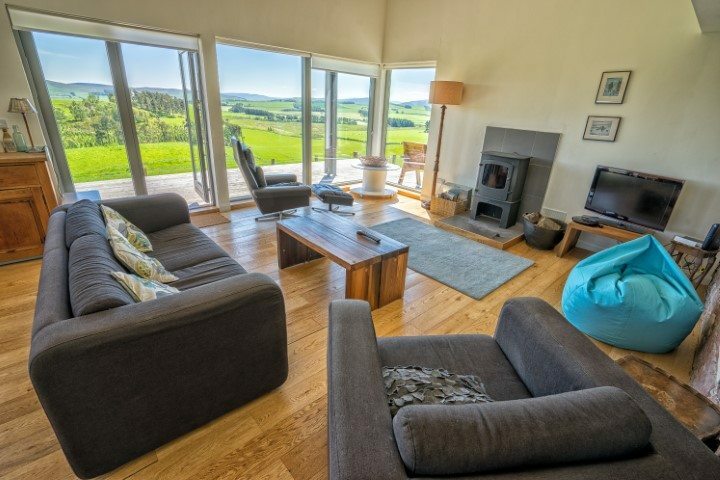 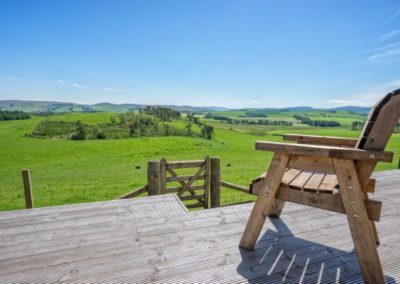 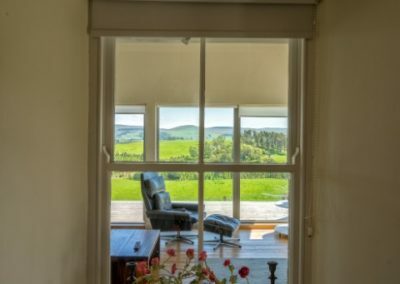 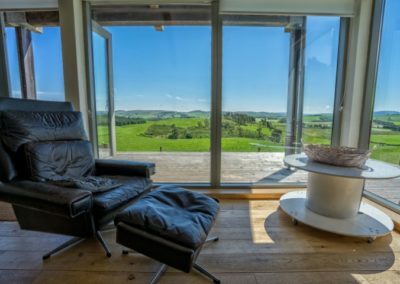 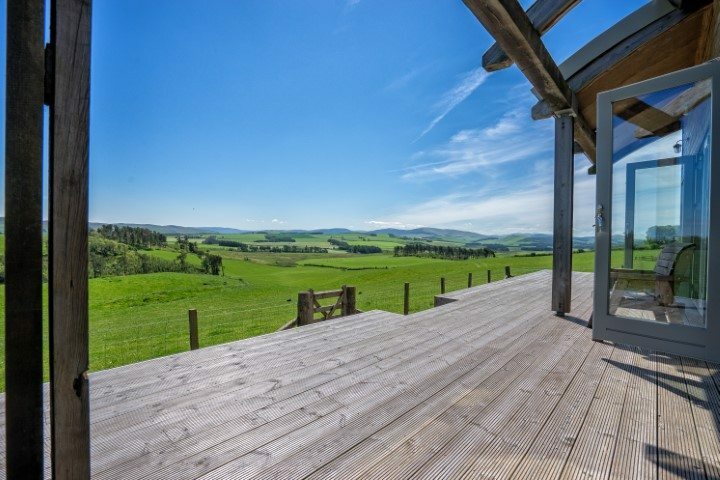 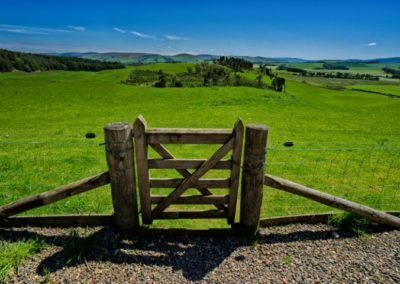 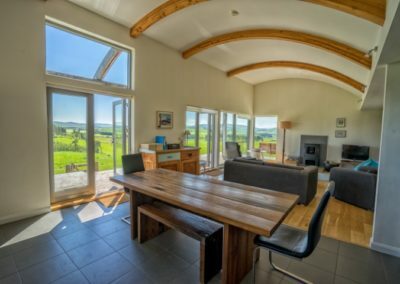 Located in the shadow of Mendick above West Linton, this property enjoys incredible views over the Scottish Borders countryside. 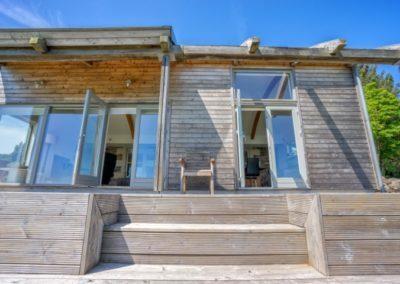 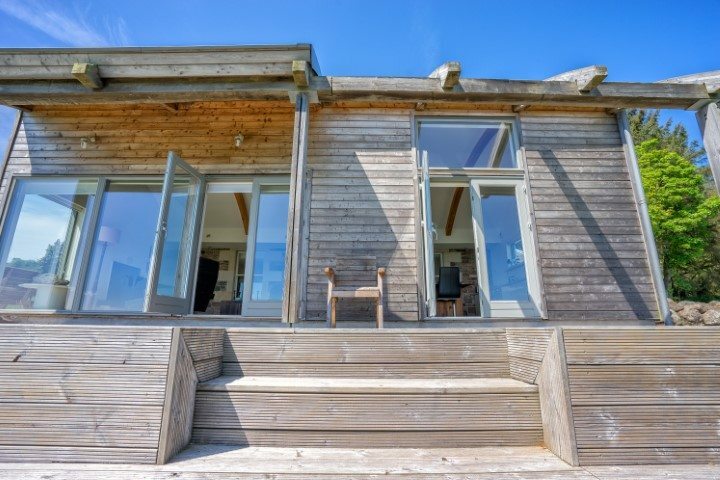 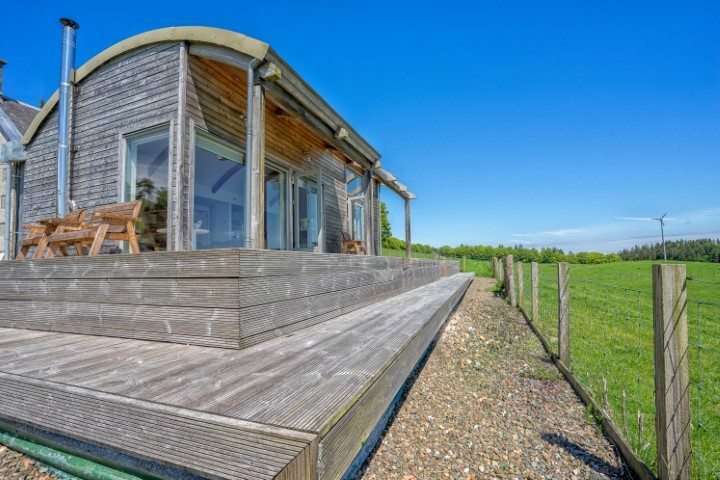 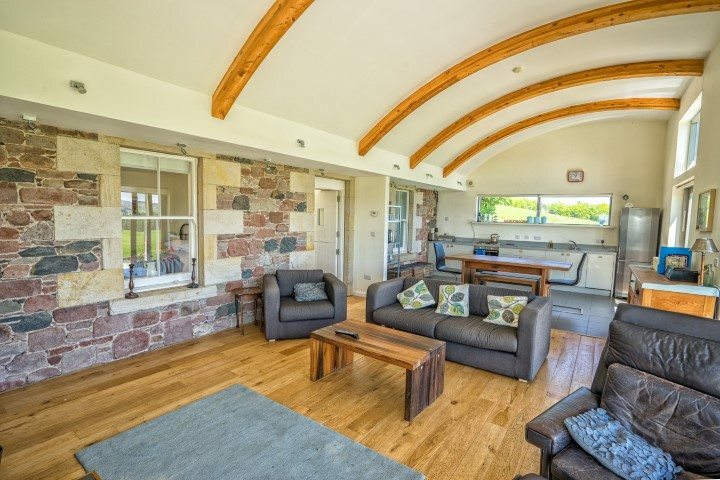 As appointed Architects, we doubled the size of the original, traditional hunting lodge with the new addition of a curved roof, timber clad extension. 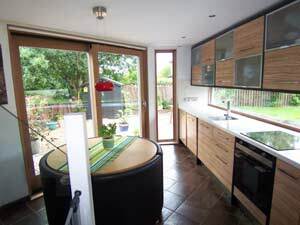 This provides the kitchen, dining and living room accommodation with direct access onto the outside decking which surrounds the property. 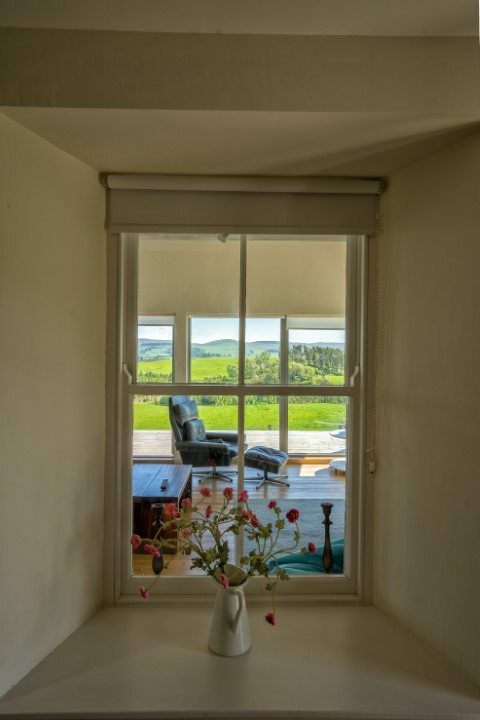 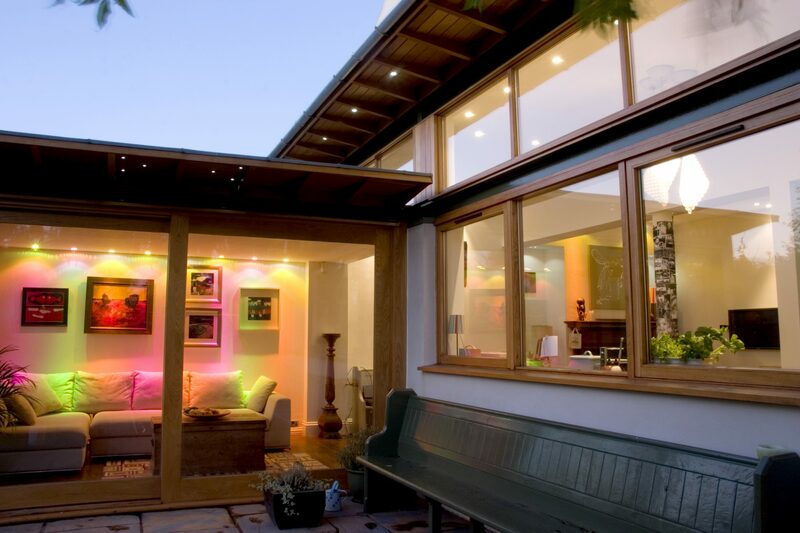 Window locations were designed to frame specific views from vantage points within the property. 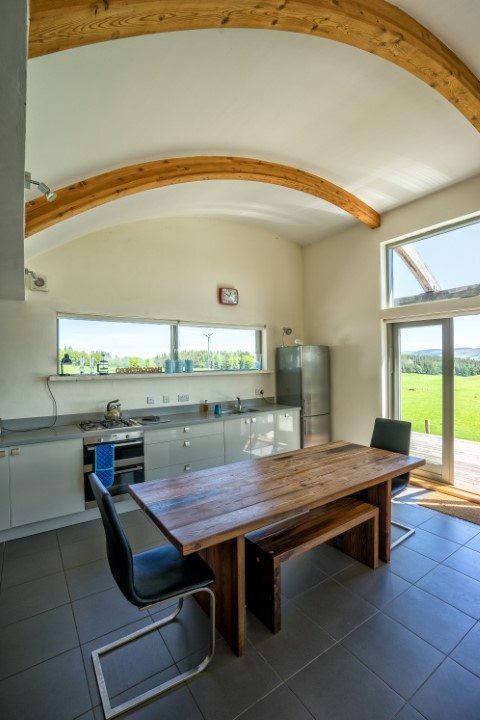 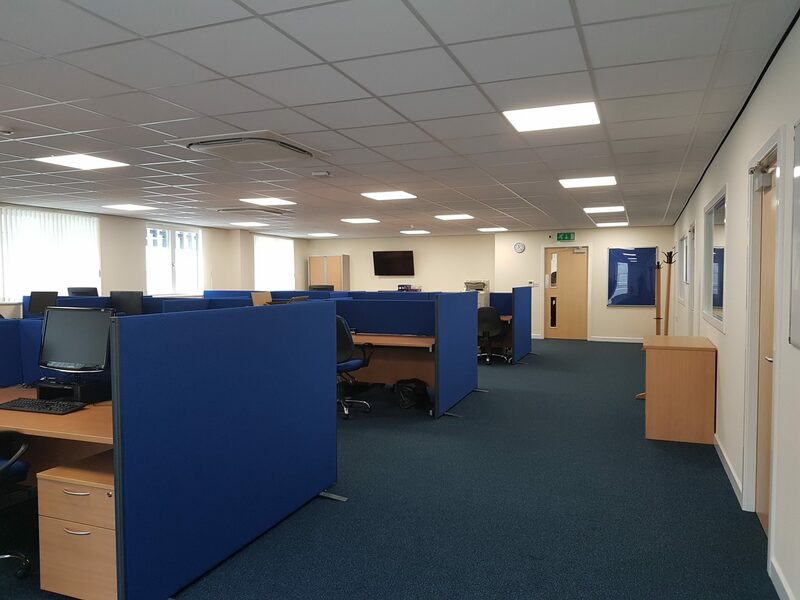 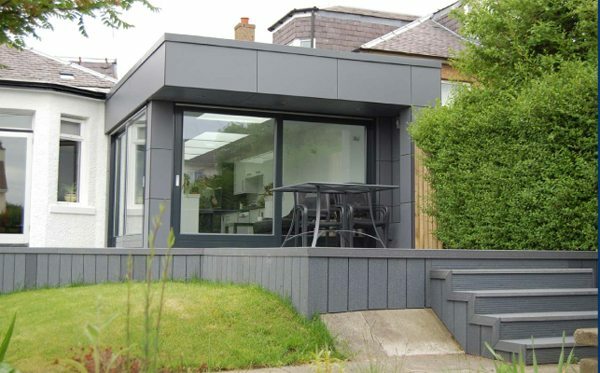 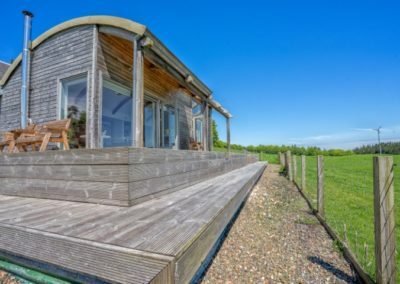 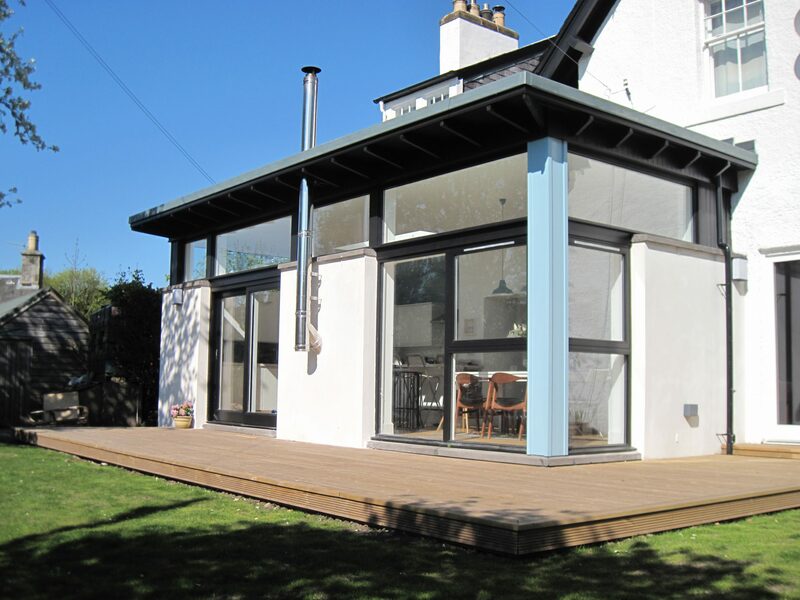 The original building was completely stripped back to the strucutre and a new, fully insulated, timber framed structure and insulated floor slab installed. 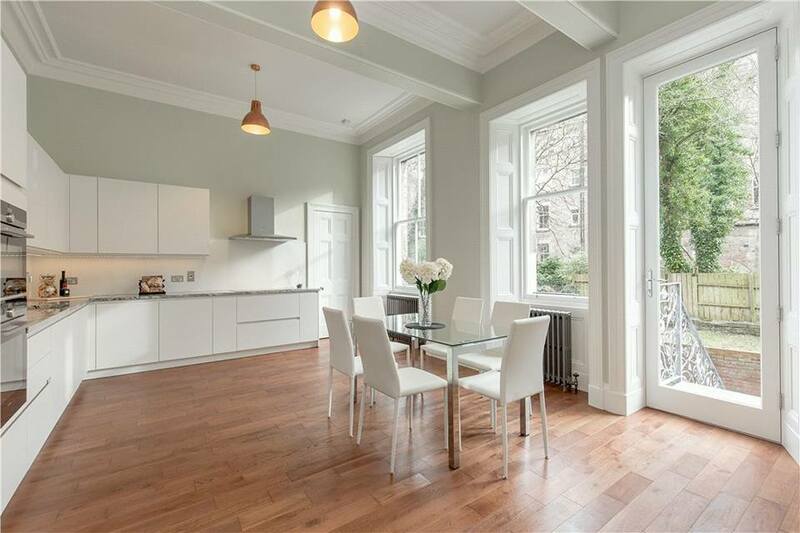 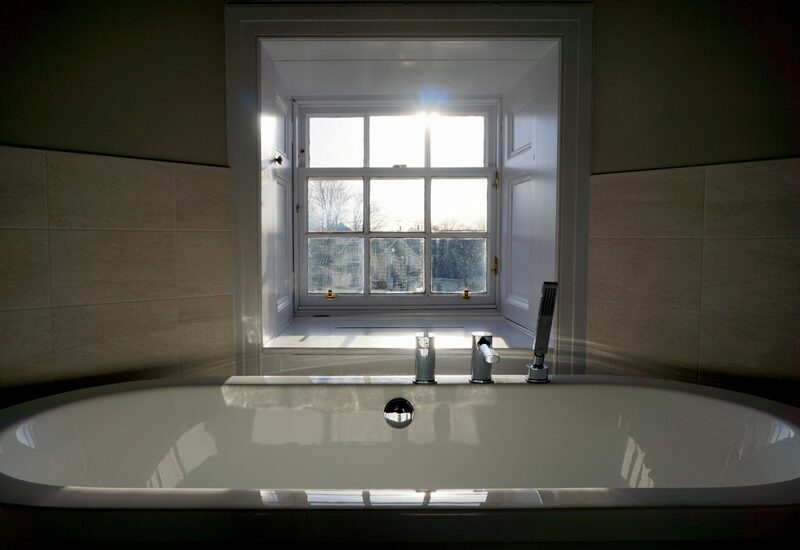 Features like the original steel bath, sash and case windows and the stone elevations were restored and reinstated. 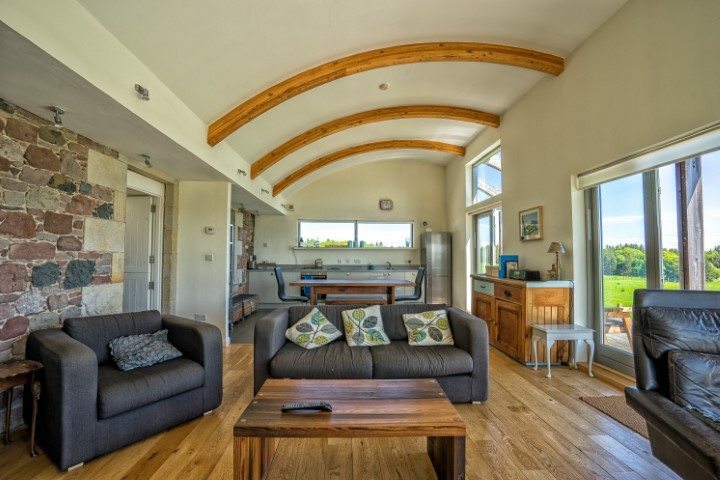 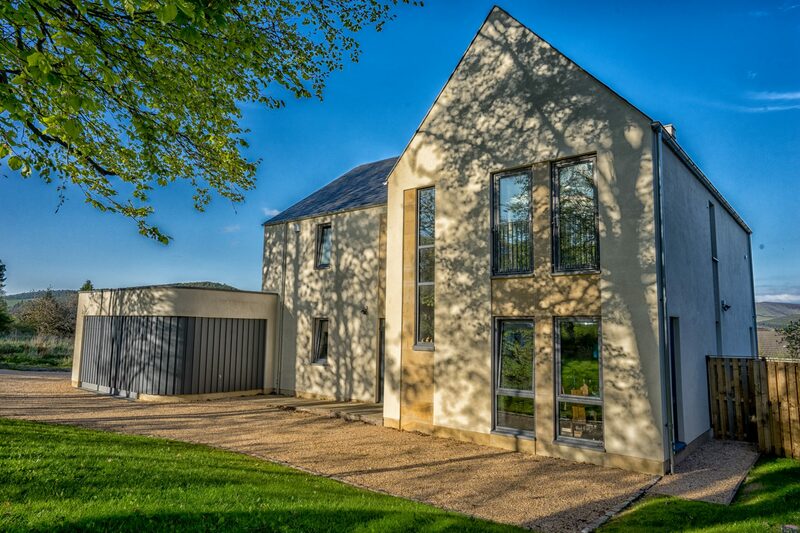 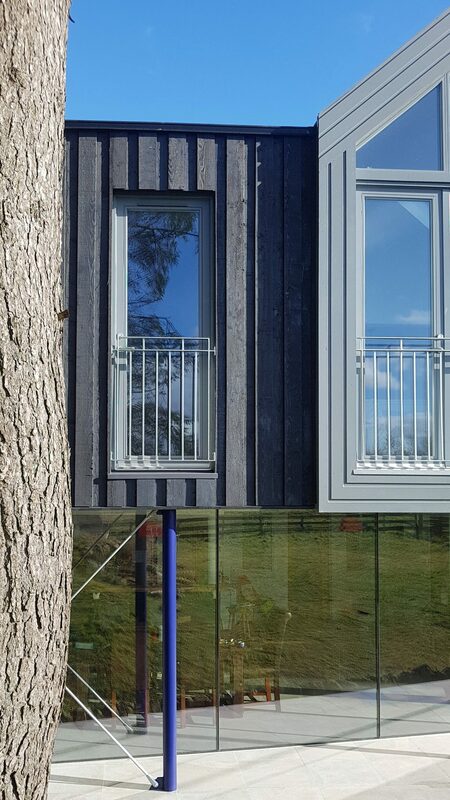 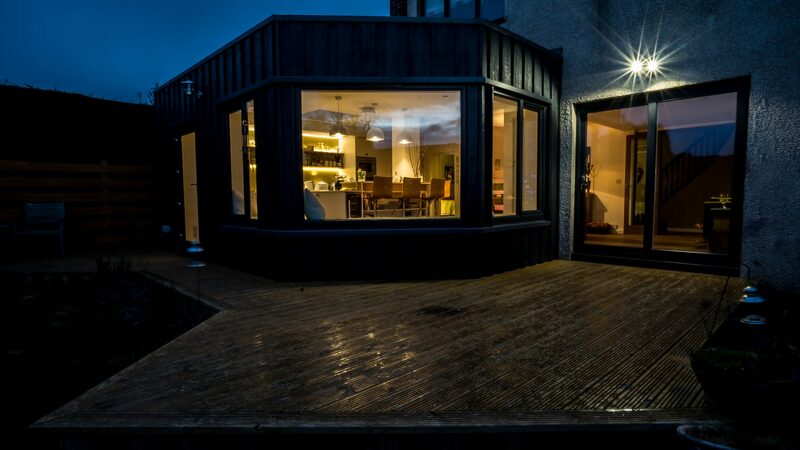 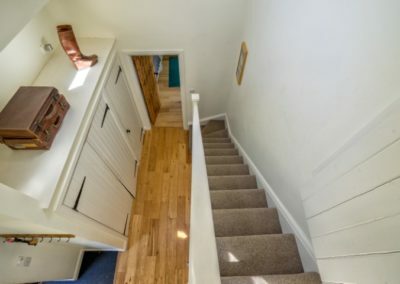 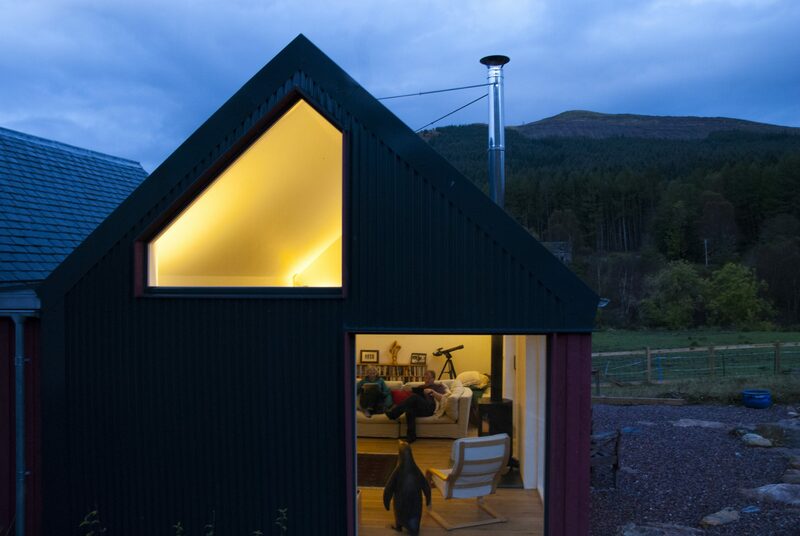 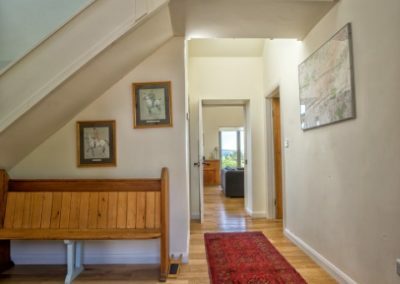 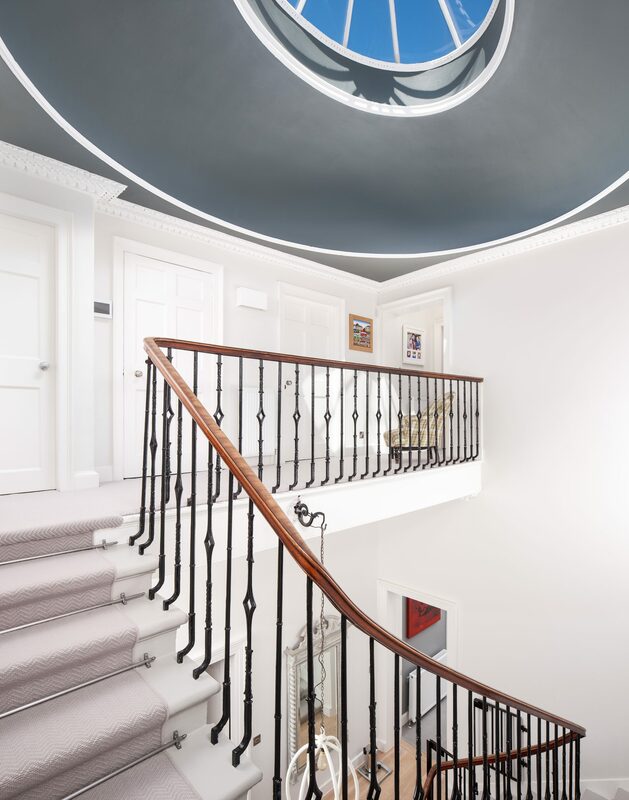 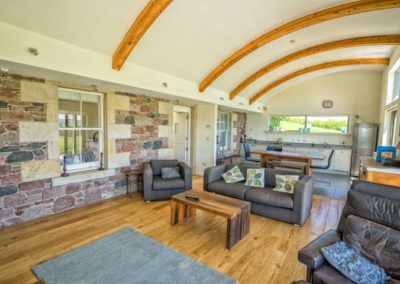 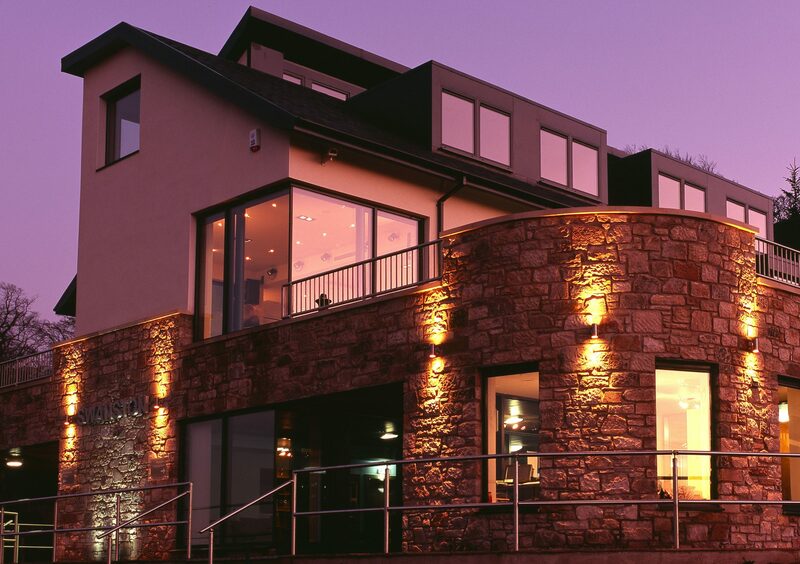 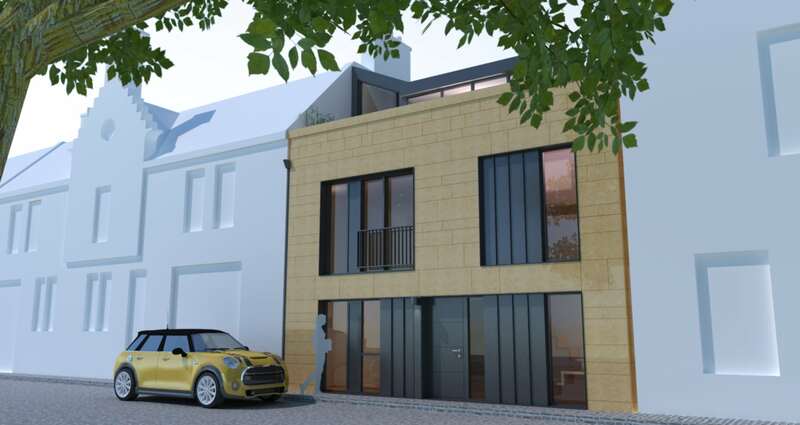 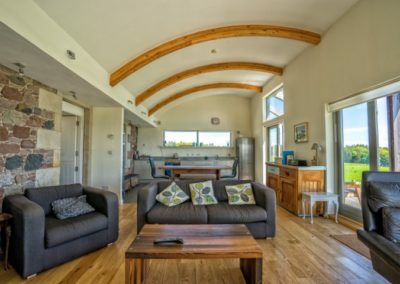 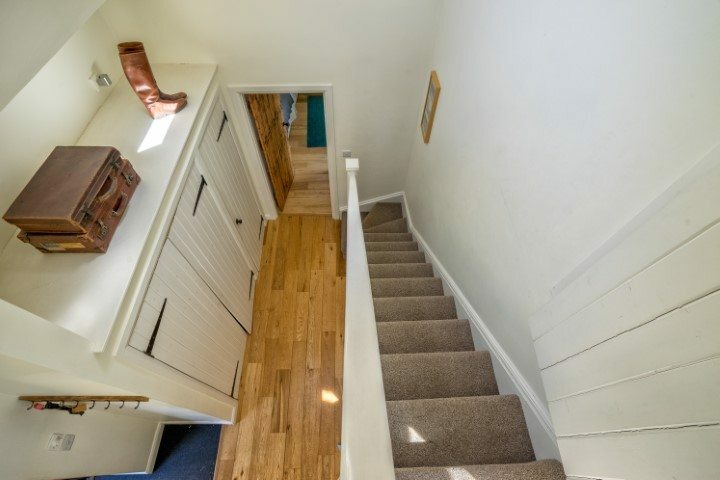 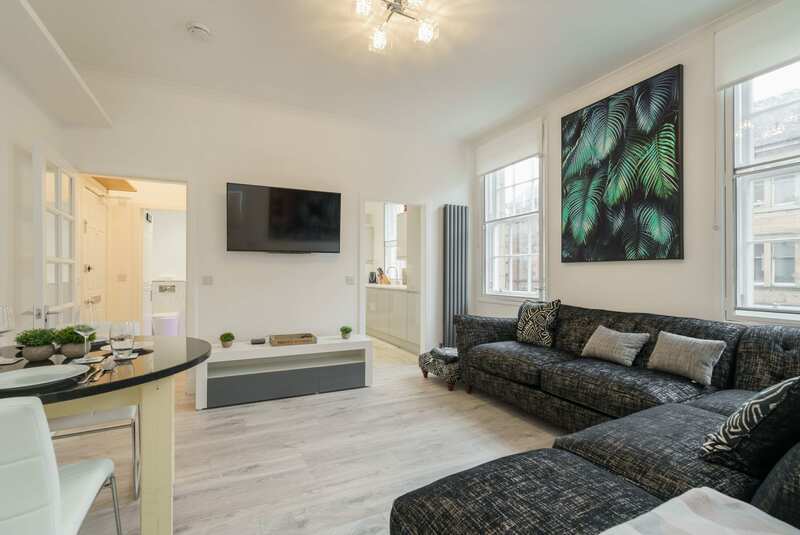 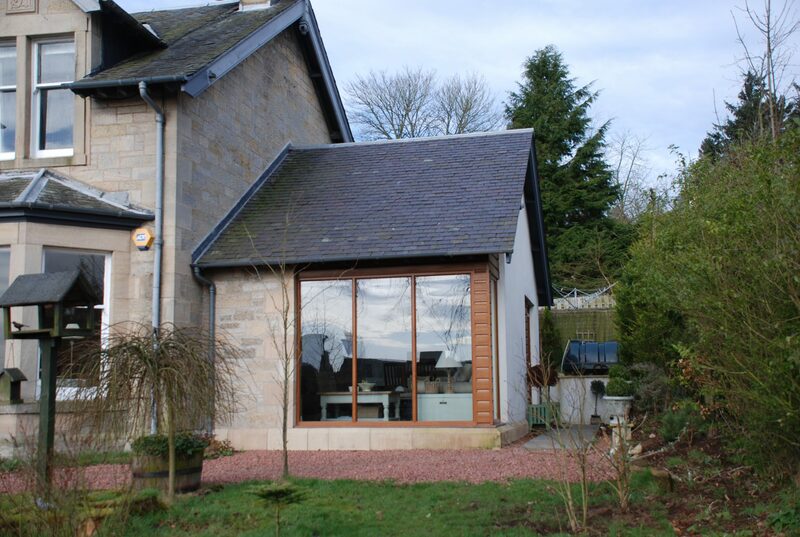 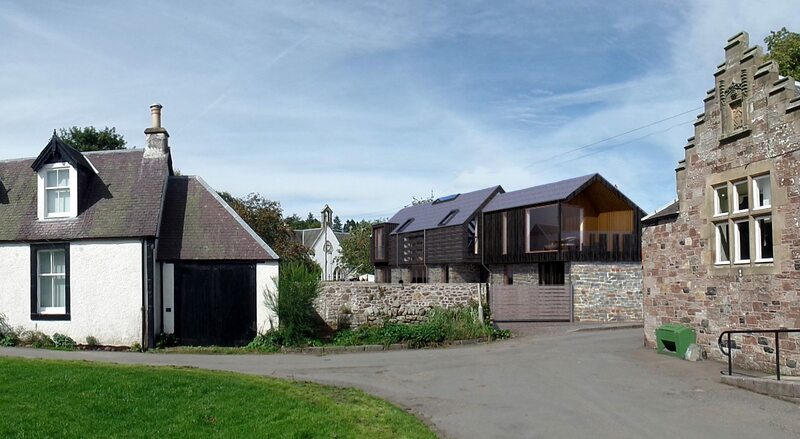 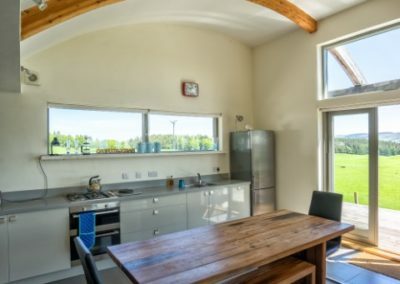 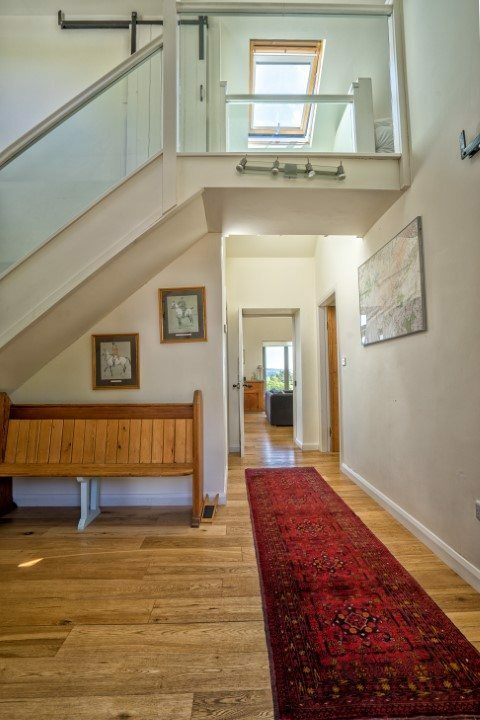 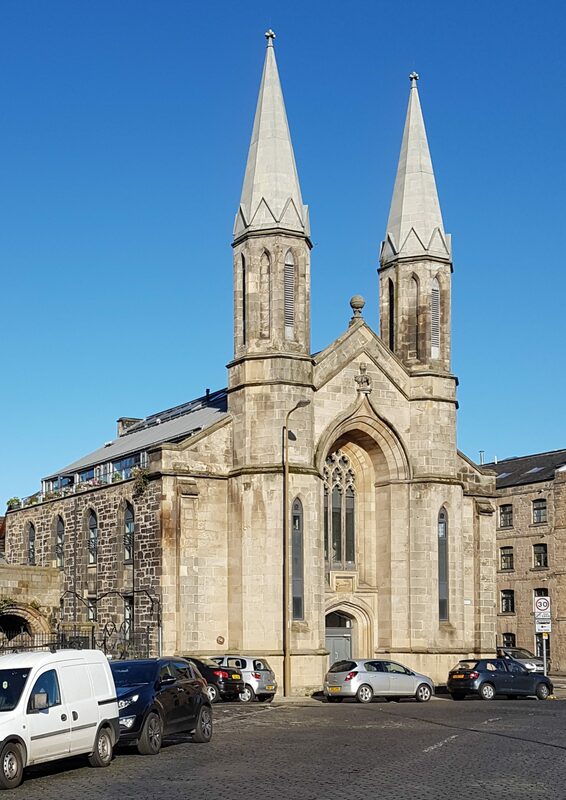 As a result, the entire property benefits from underfloor heating powered by a biomass boiler, insulation levels in excess of the requirements of Scottish Building Regulations whilst the character and charm of the original building shines through. 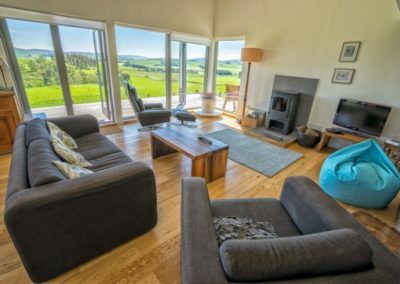 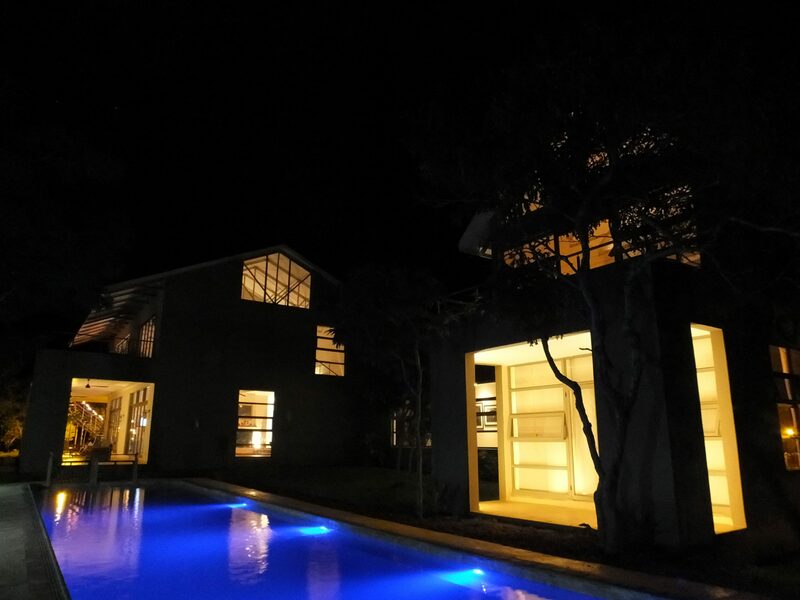 Available as a holiday let, this is a magical place to unwind.